Exterior flap with tab and loop closure. Faux suede interior lining. 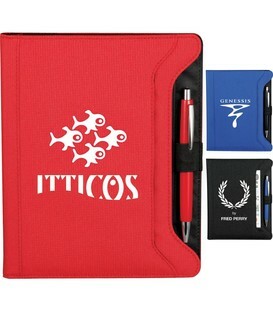 Interior tablet pocket accommodates an assortment of 7 inch tablets including the iPad mini.  Scratch proof lining protects your tablet. 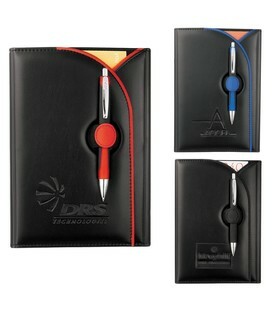 Interior organizer with document pocket and business card slot. Pen or stylus loops and elastic loop to hold your phone. 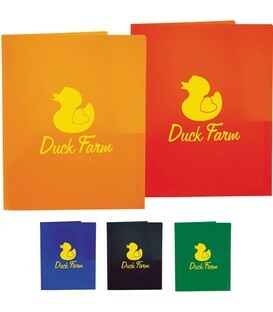 Includes 30 sheet writing pad. Document pocket on front cover. Inside panel contains seven card pockets. Interior document pocket. 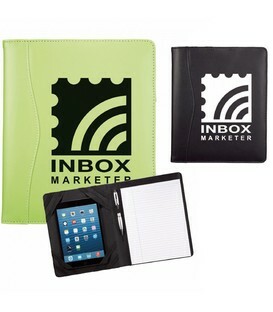 Includes refillable, 30 page ruled notepad. Notepad size: 5 inch x 8 inch. Elastic pen loop. Pen not included. Secure elastic closure. Inside panel holds all 10 inch iPad® models. Scratch-proof panel protects iPad®. Elastic pen or stylus loop. 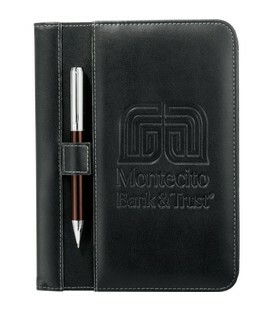 Includes refillable 30 ruled page notepad. 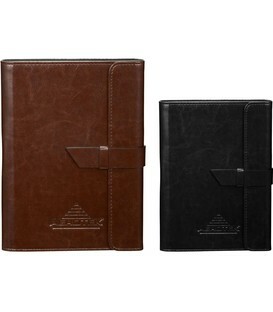 Notepad size: 7 inch x 9.75 inch. Pen and device not included. 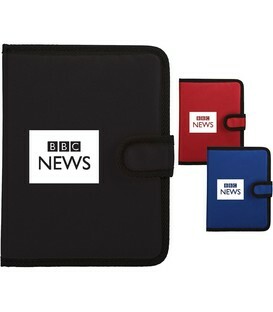 Clip holds notepad or loose documents firmly in place. Interior document pocket. 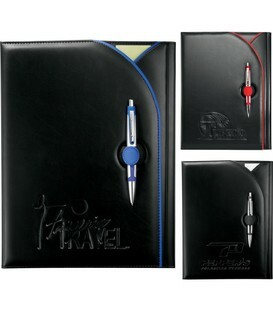 Includes refillable 30 ruled page notepad. 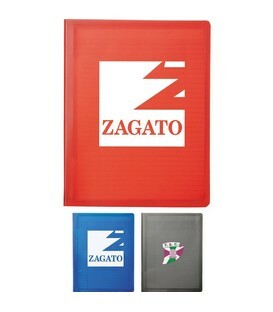 Notepad size: 8.27 inch x 11.03 inch. 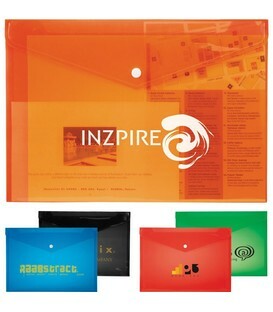 Zippered portfolio that fits 8-1/2 inch x 11 inch paper. 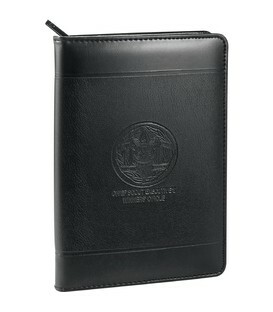 Full-size pocket on front to hold important documents. Clear business card pocket on the back. 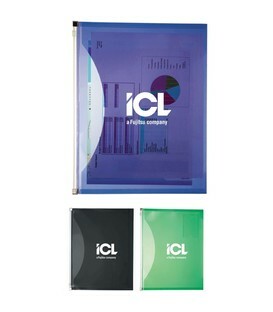 Portfolio with Velcro closure, pen loop, document pocket and notepad (30 ruled pages). 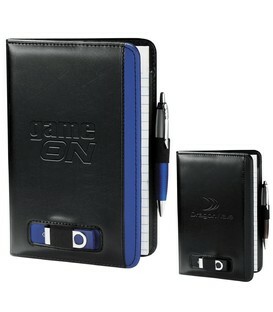 Notepad size: 5.71 inch x 8.27 inch. Pen not included. 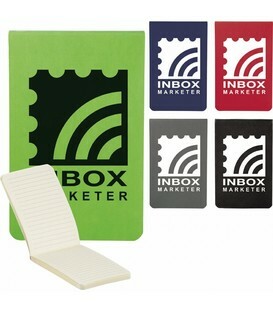 Includes refillable 30 ruled page notepad. Notepad size: 8.27 inch x 11.25 inch. 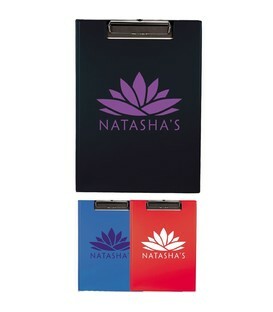 Inside file folder with business card pocket. Pen loop. Pen not included. External elastic loop and 3 internal elastic loops for holding USB memory flash drives and pens. 4 business card pockets. Clear ID window. Document pocket. 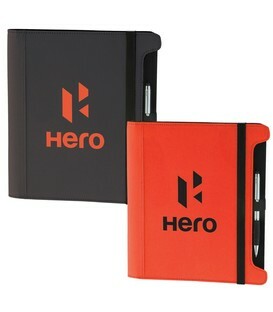 Holds most Kindle and Nook products. Includes 5 inch x 8 inch lined writing pad. Refills available at www.leedsworldrefill.com. Refill item # 9091-06RF.